Circular Saw Blades are ideal to use for cutting laminated chipboard, MDF, fibreboard, plasterboard, breezeblock and cemented plywood. It can also be used to cut plywood, OSB boards and solid wood. A variety of blade sizes are available to buy online. Handy for all sorts of DIY projects and construction jobs, there are many circular saws available for you. With a wide variety on offer, including hand-held, table saws and chop saws, all types use different blades that are specially designed to cut a particular material. Whether you need to cut laminated chipboard, MDF, fibreboard, plasterboard, breezeblock or cemented plywood, our Ryobi and Milwaukee circular saw blades can help you get the job done. Ideal to use for cutting a variety of materials quickly, accurately and safely, our circular saw parts include circular saw blades available in a variety of sizes to suit your application. 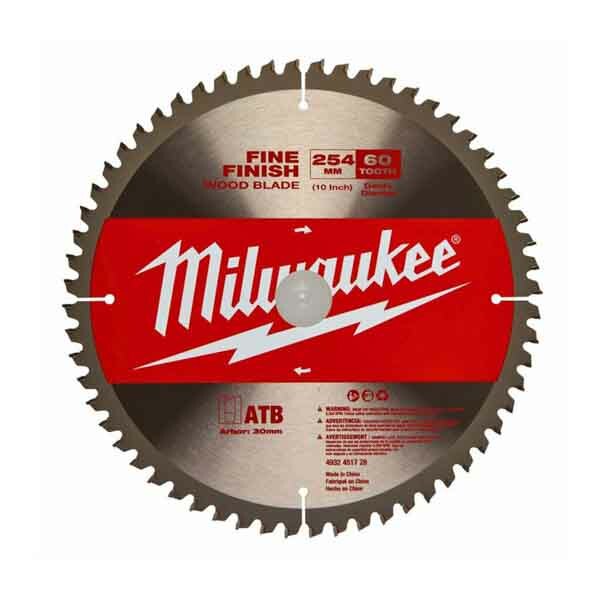 Our Ryobi and Milwaukee circular saw blades are available from 165mm to 254mm diameter and are ideal for cutting OSB boards, solid wood, laminated chipboard, plywood and MDF. These class leading blades are designed for quality and performance, as well as being suitable for a large variety of uses, without compromising the quality of your saw. With all our products undergoing stringent quality and performance checks in our UK-based manufacturing facility in Derby, you can trust that you’re receiving a high-quality product from leading brands. When you buy your Ryobi and Milwaukee circular saw blades online, not only are you buying the best circular saw parts, but you can enjoy added peace of mind with our 3-year extended warranty and no quibble 60 day returns policy. Contact us today on 01332 576 850 to find out more about our Milwaukee circular saw parts for sale at SGS Engineering.